is included with our villa. beach, beautiful salt marshes and acres of lush maritime forest. There are no hotels or high-rise condos on the island. November, and the pool decks are open year-round. Pavilion the rest of the year. sunsets over the North Edisto River Inlet. on the perfect waterside setting for nesting and ultimate survival. Described as "one of his best", designer Robert Trent Jones, Sr.
covered, stately live oaks and thick forest. A 6,805 yard, par 72 course that takes you to the Atlantic Ocean. Trail Rides/Pony Rides Advance reservations are required. Staff. Advance reservations are required. 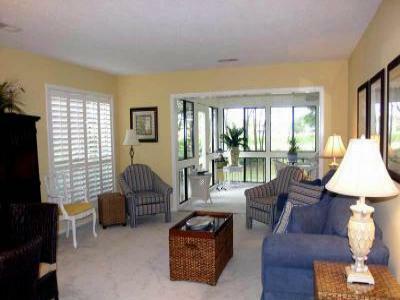 It also has televisions, music and spectacular Atlantic Ocean views. It is located at the Recreation Pavilion. with extended hours from Memorial Day through Labor Day. Minimum stay during mid season and low season is 3 days. accommodations tax will be added to all rentals. if any) upon cancellation at least 30 days prior to arrival. be refunded to the tenant. form on the reservations page.